Background: Macrophage Scavenger receptor types I and II (MSR1, and also known as SCARA1) are members of the class A macrophage scavenger receptor family. These proteins bind large quantities of modified lipoproteins and promote endocytosis. Upregulation of MSR1 in infiltrating myeloid cells may mediate clearance of specific damage signals in response to tissue injury, including ischemic stroke (1). 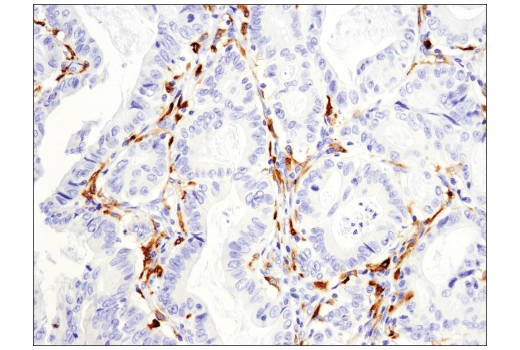 MSR1 germ line mutations are also associated with increased prostate cancer susceptibility in some patient cohorts (2). 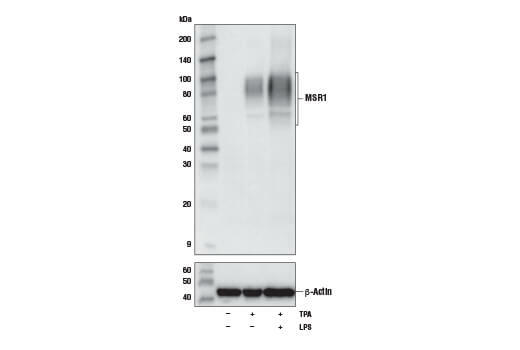 MSR1 is observed to be upregulated in differentiated THP-1 cells (3). 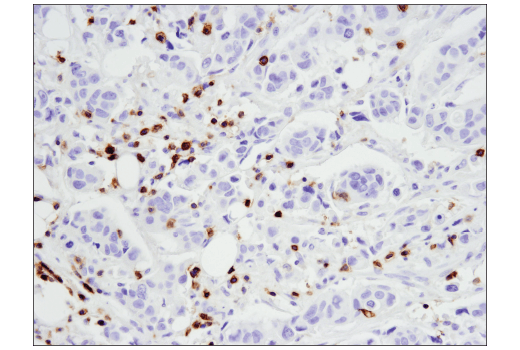 Background: CD163 is a transmembrane scavenger receptor expressed on the macrophage surface. 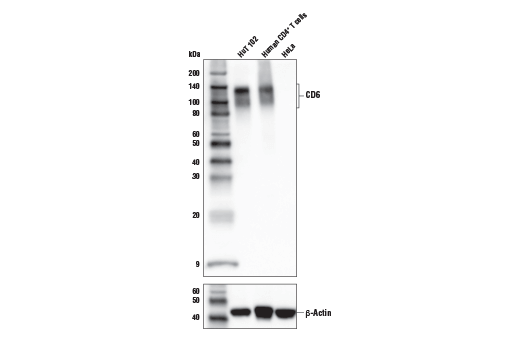 It has 9 B-type SRCR extracellular domains mediating serum haptoglobin clearing/endocytosis, pathogen binding and signal transduction, and calcium binding (1, 2). 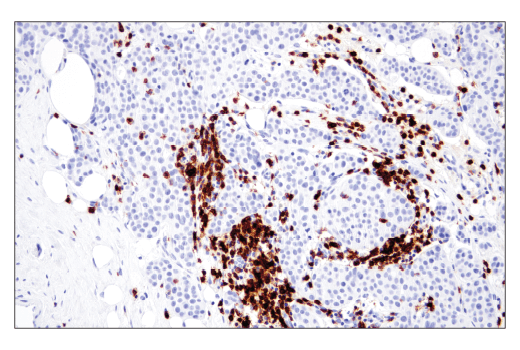 CD163 is used as a surface marker of M2 type macrophages, including M2 type tumor associated macrophages (TAMs), which facilitate cancer progression by secreting cytokines to promote angiogenesis, immunosuppression and metastasis (3). Inflammatory stimulation and stress signal can induce extracellular domain shedding of CD163 to generate soluble CD163 (sCD163). The increased sCD163 level in serum is associated with low-grade inflammation in disease conditions (4-7). 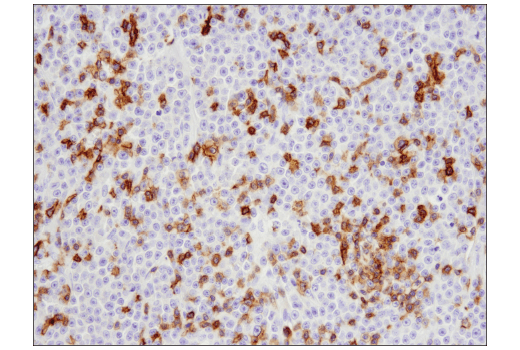 Background: T cell differentiation antigen CD6 is a cell adhesion molecule expressed on immature thymocytes and mature T cells, and has also been detected on a subset of B cells and NK cells within the immune system (1-4). 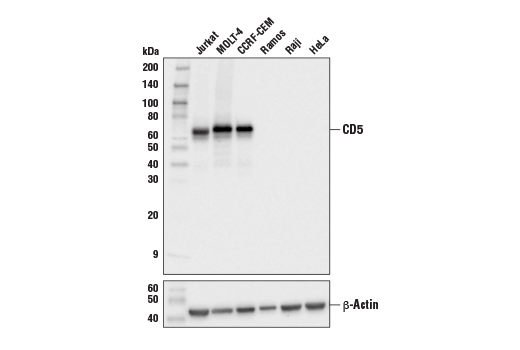 CD6 mediates cell-cell interactions through it’s binding partner CD166/ALCAM (2), and contributes to the formation and maturation of the immunological synapse (3,4). 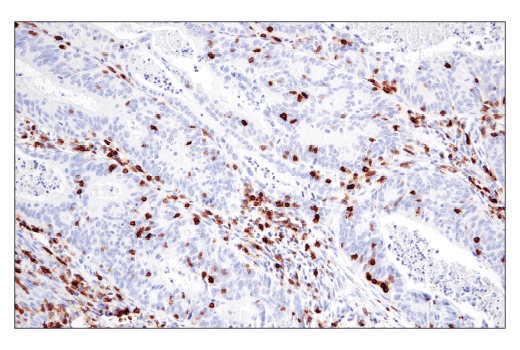 CD6 functions as a co-stimulatory receptor, promoting T cell activation and proliferation through the TCR/CD3 complex signaling cascade (3-6). 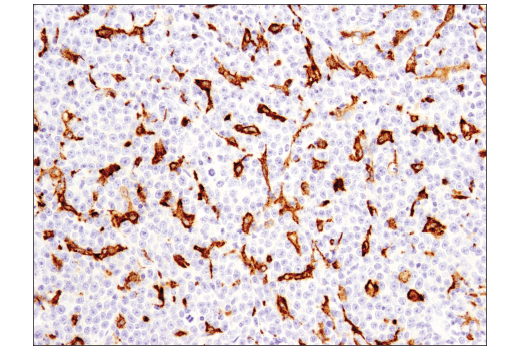 Studies have shown CD6 can be glycosylated (7), hyperphosphorylated on serine and threonine residues (8), and phosphorylated on tyrosine residues (6,9), each of which can differentially effect the function and signaling of this molecule. 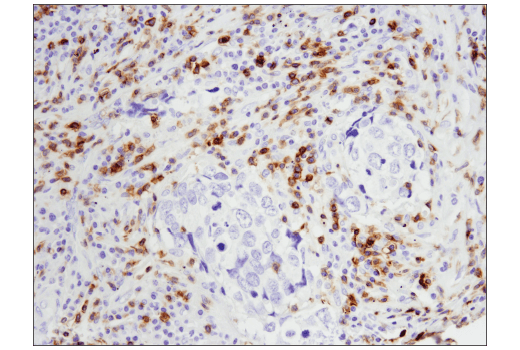 CD6 also functions as a calcium-dependent pattern receptor that binds and aggregates Gram-positive and Gram-negative bacteria. In response to lipopolysaccharide, CD6 mediates activation of the inflammatory response and secretion of pro-inflammatory cytokines (10). 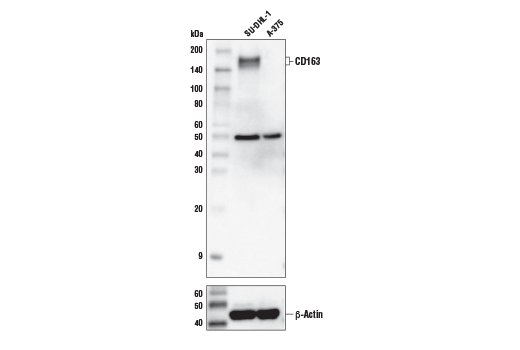 Background: CD5 is a type-I transmembrane protein belonging to the scavenger receptor cysteine-rich (SRCR) family, characterized by the presence of at least one SRCR domain of 90-110 amino acids. 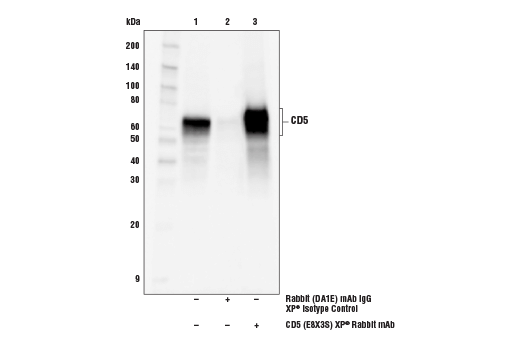 CD5 is expressed by all mature T cells, the B-1a subset of mature B cells, and some leukemic B cells. Its expression is increased in regulatory T and B cells (Tregs/Bregs). 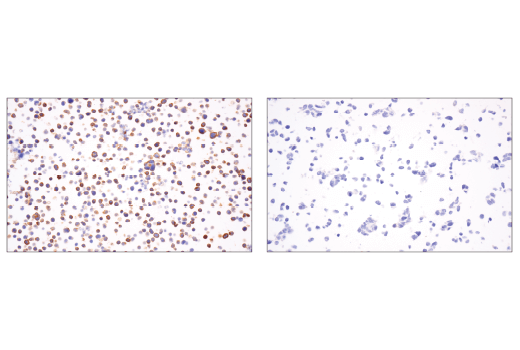 Anergic T and B cells also have elevated CD5 expression. Elevated levels of CD5 are also found in many autoimmune disorders (1-3). 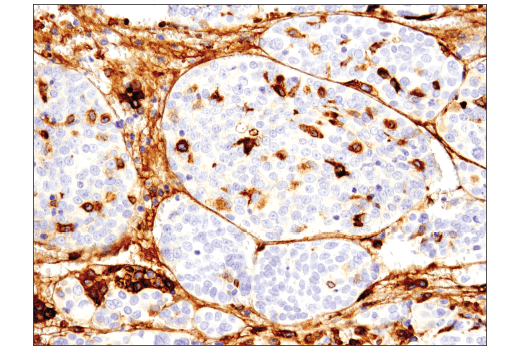 CD5 is associated with the T cell receptor (TCR) and negatively modulates T cell activation and differentiation. 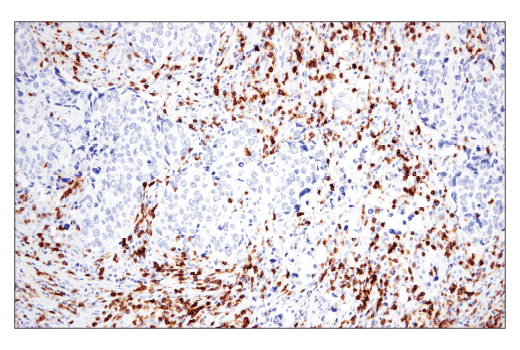 CD5 expression on the tumor infiltrating T lymphocytes is inversely correlated with their antitumor activity (4-6). 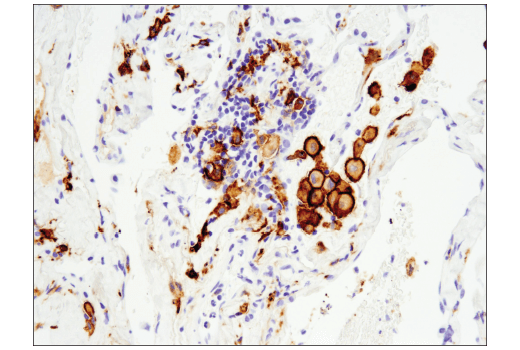 Recently it was reported that CD5 directly binds to IL6 and can mediate downstream signaling. 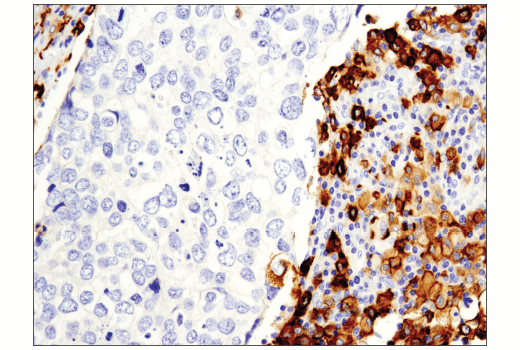 CD5+ B cells promote tumor growth in animal models (7). Reagents targeting CD5 have been actively pursued as therapeutic interventions for cancer and other conditions (8,9). Background: Ectonucleotide pyrophosphatase-phosphodiesterase 1 (ENPP1) is a single-pass, type II transmembrane protein primarily involved in ATP hydrolysis at the plasma membrane. Targeting of ENPP1 to the basolateral cell surface relies on the presence of a carboxy-terminal di-leucine-based signal (1). ENPP1 plays important roles in bone mineralization and soft tissue calcification (2-5). Mutations in the corresponding ENPP1 gene cause generalized arterial calcification in infancy (GACI) and idiopathic infantile arterial calcification (IIAC) (6,7). 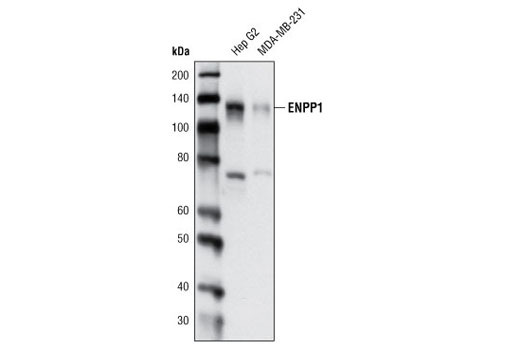 ENPP1 inhibits insulin receptor function and overexpression of this enzyme causes insulin resistance and glucose intolerance in mice (8,9). Genetic variants of ENPP1 have been associated with obesity and type 2 diabetes (10-12).